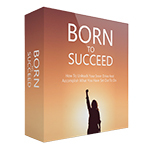 How to unleash your inner drive and accomplish what you have set out to do (Video Edition). 3 Ways to Find Your Focus and Get More Done. 4 Things That Will Kill Your Motivation. 5 Ways to Build Self Discipline and Reach Your Goals. 5 Ways to Motivate Yourself and Find Your Inner Drive. How to Achieve a Positive Mindset - 5 Practical Tips. How to Find Your Inner Drive. How To Shift to a Growth Mindset and Achieve Success. How to Strengthen Your Inner Drive. Simple Techniques to Help You Fire Up Your Inner Drive. Top Secrets for Unlocking Your Inner Drive.